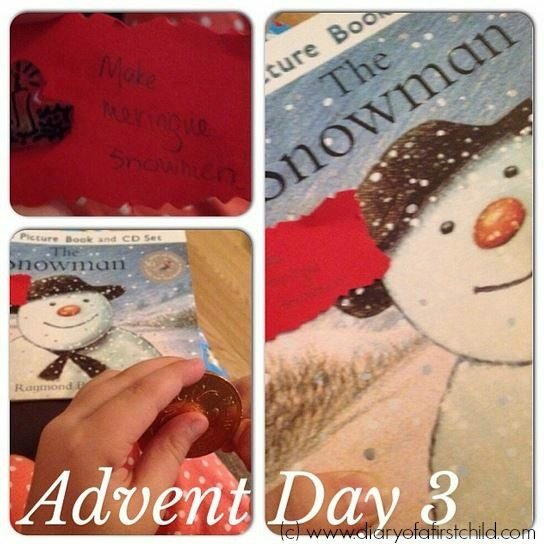 The advent calendar book for day three was The Snowman, a much loved classic I always hear people saying they remember from their own childhoods. The first time I ever heard of it was when I was sent the book for review earlier in the year. Apparently there are two versions – one with no text, just images, and this one, a written story. I don’t know the original, but this one was kind of sweet, although I’m not sure about the message that it’s a good thing to sneak out and go to a dance with a random snowman! But my paranoia aside, the children love the story. This particular version came with a CD so there’s a song we got to listen and dance to a few times over too. 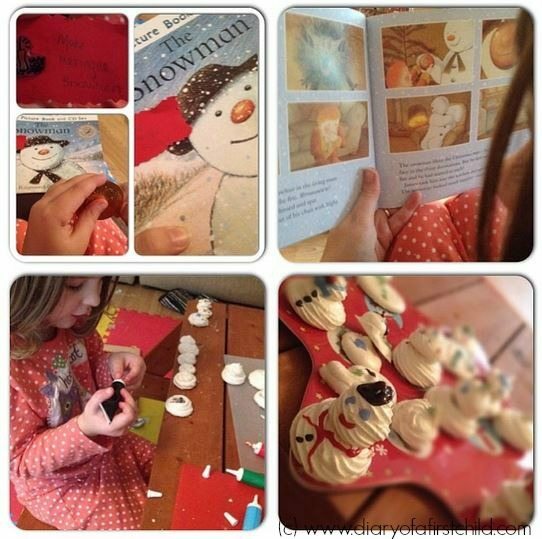 Our craft of the day was to make meringue snowmen. You can find our recipes for making it the traditional meringues here, or for using the Thermomix here. I made three different styles of snowmen too – the first were piped as snowmen, the second as meringues and then stuck together in the icing phase and the third as flat figure of eight style snowmen. I preferred the ones we had to stick together in the end. 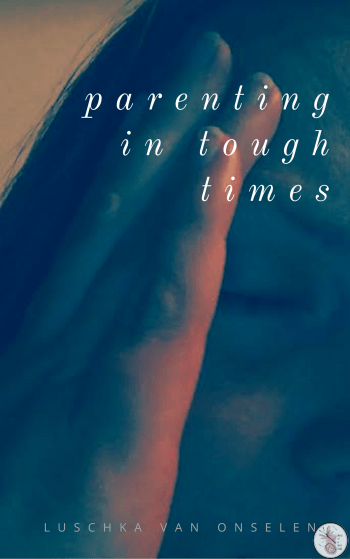 They were the most manageable. Not only did we have fun reading the story, but we also enjoyed baking and decorating together, and a lot of fun was had in the eating too. And it may just be me, but I think it would make a fun gift too! 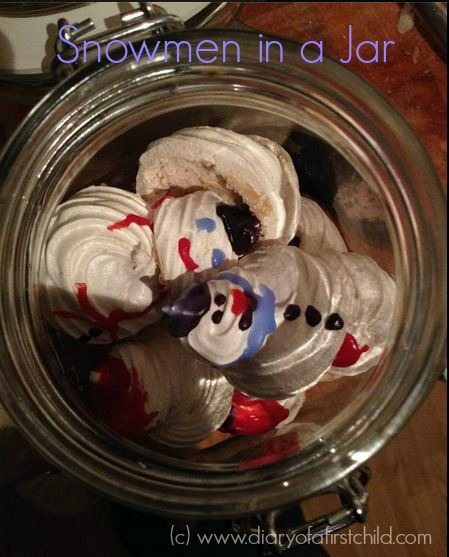 A copy of the book, with a jar of snowmen, right?